The beleagured insurance outsourcer recovers some of its lost share value after confirming talks about selling some of its divisions. A new year might mean a new start for Quindell, the innovative insurance firm that lost 90% of its value in 2014. Shares in the company surged 14.9% to 45.4p this morning on news that it's in talks to sell some of its assets. The reason investors greeted the news with such enthusiasm is that an asset sale promises to improve the firm's cash position, which was the target of a confidence-wrecking report by mysterious US short seller Gotham City Research in April. Batman will be happy. 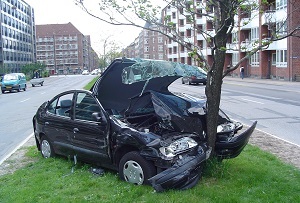 Quindell, which at one time claimed it would revolutionise the car insurance industry with its black box technology, denied allegations by Gotham that it was hugely overvalued and indeed won an uncontested libel action over the matter, but that didn't stop the doubts from setting in. A scandal over directors' share purchases in November resulted in founder and chairman Rob Terry walking, and the new management is clearly pursuing a new strategy. For a start, the decision to retract represents a dramatic departure from Terry's relentless expansionism, which saw the AIM-listed firm reach a peak market capitalisation of £2.7bn last year, before everything went pear-shaped. More significantly, though, it shows that Quindell is trying to address concerns over its ability to generate cash. Despite the share rebound, it might take more than such sweet-talking and references to unnamed third parties for Quindell to get back to where it was. Shares are still less than 7% of their peak price of 656.3p, which it reached in February.